Inside view of our ring #223. 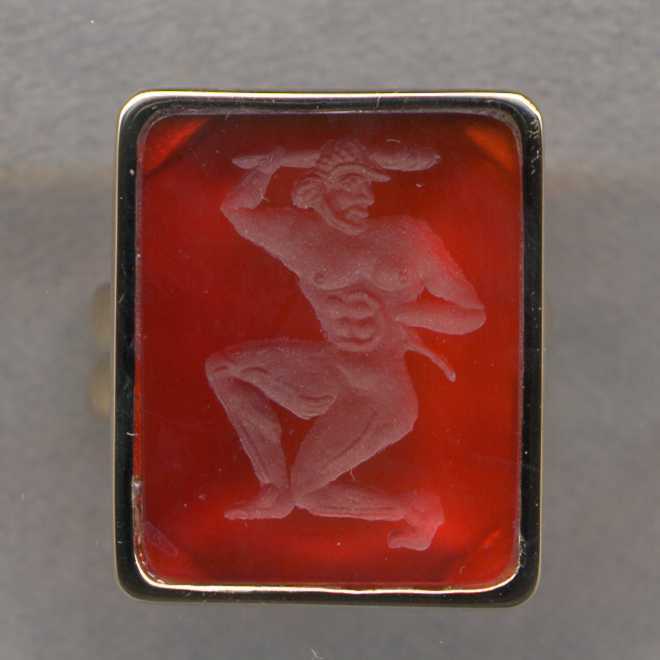 The original engraving was described in a museum catalog as: Greek intaglio - Carnelian scarab About 500 B.C. Herakles is represented in half kneeling position, with head turned to the left; the upper part of the trunk is frontal, the lower part is in three quarter view; the legs are in profile. In the right hand he holds a club, in the left a bow. He is bearded and has a moustache. 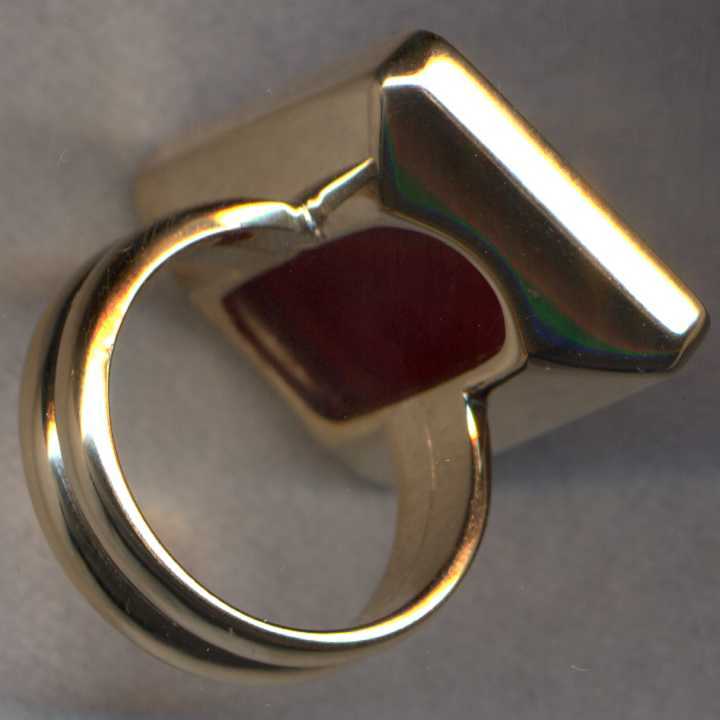 The size of the original stone is 17mm. Metropolitan Museum of Art. New York.